2015 is shaping up to have one of those lazier Augusts, where a pair of movies open strong in the first weekend or two, while the remainder of the month is filled with smaller films competing for space. This August certainly has its fair share of action movies, released safely now that the bigger hitters of summer have run their course, but the most important question is: when it comes to the title of August's biggest film, can Fantastic Four be usurped? Theoretically, Fantastic Four is the month's biggest film, but August has surprised us many times before (remember that Guardians of the Galaxy/Ninja Turtles two-punch last year? I'm still reeling). Marvel's first family find themselves rebooted once more, and this time with a noted youthful bent: its new cast are all at around the same mid-to-late 20s age range, somewhat clearing out a key difference that was always present amongst the team (Reed Richards and the Thing were usually notably older). 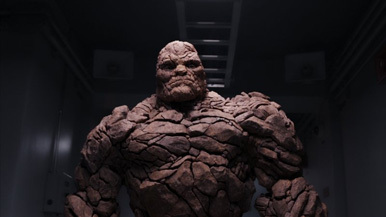 I imagine moviegoers have mixed feelings of sorts about the two previous Fantastic Four films, released in 2005 and 2007, which were modest entertainments seemingly geared mainly at children (a scant few have seen bootlegged copies of the 1994 version of Fantastic Four, which was produced as a result of a complex scheme on behalf of its filmmakers to retain rights to the property, and which has never had a proper release in North America; we're still waiting. It's never too late). The choice of director Josh Trank, helmer of just one previous film, the excellent Chronicle, somewhat seems to echo Colin Trevorrow's transformation from one-film indie wonder to director of possibly the biggest movie of the decade, Jurassic World. I don't imagine Fantastic Four will have such luck, but Trank at least has a good start. The reboot story doesn't seem to give the material much of a new angle (once more, the team gain their powers and fight Doctor Doom, and, given that the third time is the charm, maybe the Doc will finally emerge triumphant). And the actors (Miles Teller, Kate Mara, Michael B. Jordan, and Jamie Bell) are recognizable but not yet draws. In short, just about everything about this film's box office will come down to the buzz, which will almost entirely be owed to the film's reviews. So far, those are not kind, so perhaps a million or three should be subtracted from this forecast with each impending day to release.